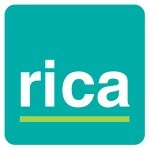 Rica is a UK consumer research charity specialising in work with older and disabled consumers. Rica carries out user-centred research with older and disabled people. We have a unique Consumer Panel of over 500 people which we can use to help you with surveys and interviews, customer workshops, mystery shopping, usability testing (products, packaging, services), technical and policy research. See our website: http://www.rica.org.uk/research.